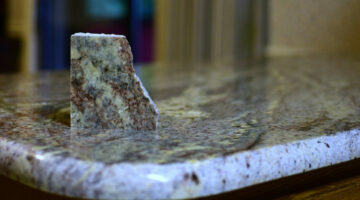 Updating countertops in your kitchen or bathroom? Here, you'll find helpful countertop advice for your new home or your DIY home remodeling project. From granite countertops to laminate countertops (and eco-friendly ones too), homeowners are sharing their best tips for choosing, sealing, and even painting countertops. PaperStone is one of a handful of brands of eco-friendly, post-consumer recycled paper countertops. It’s durable, hard as nails, versatile and much more. Get the scoop to make an better decision on your next home building project in the kitchen or bathroom. Eco Friendly Countertops: Are Paper Countertops A Good Eco-Friendly Choice? 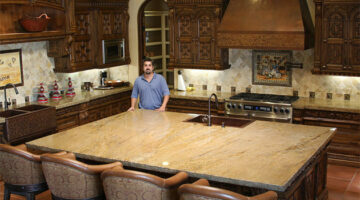 Thinking about picking out a new countertop in the near future? Add paper countertops to your list of types of materials to consider. 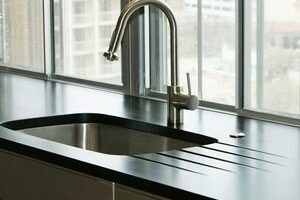 Paper composite countertops are rock solid and do not harbor bacteria. It’s a serious contender amongst other green materials used and it’s green in many different ways.